2017 has proven to be a year full of changes and fruitful opportunities for the Talloires Network. At the beginning of the year, we launched our new membership dues structure, calling on Talloires Network members to commit to sustaining the network. I am pleased to say that we now have 31 Engaged members in 20 countries. I extend my gratitude to them and invite you to join us in our efforts to continue to foster cross-border collaborations and make a lasting impact in the world. This is also the year that the Youth Economic Participation Initiative (YEPI)comes to a successful close. This multi-year partnership with the Mastercard Foundation has included a global strategic planning fellowship for 6 students, a teaching/mentorship curriculum and grant program for 10 engaged faculty in Africa and a university demonstration grant to support 8 entrepreneurship and civic engagement programs at 14 universities. Over the course of nearly 4 years, the YEPI has helped expand and refine approaches to entrepreneurship education while contributing to the leadership development of program participants. This newsletter celebrates their numerous and significant accomplishments. Congratulations to all the YEPI graduates, program staff and faculty, community partners, and others who have contributed to this vital initiative. Lastly, I thank you for responding to the secretariat’s request for Steering Committee nominations. We are pleased to present to you an impressive slate of candidates to stand for election and invite your university to vote to fill the open seats by 22 December 2017. Two newly-elected Steering Committee member will begin their 3-year term on 1 January 2018, bringing fresh perspectives and informing the strategic direction of the Network. Please also join me in thanking outgoing Steering Committee members Ernest Aryeetey and Muhammad Asghar for their distinguished service to the Talloires Network. Their perspective, knowledge and leadership have contributed greatly to the global university civic engagement movement. I wish all of you wonderful end-of-year celebrations. The Youth Economic Participation Initiative (YEPI) has come to a successful close. 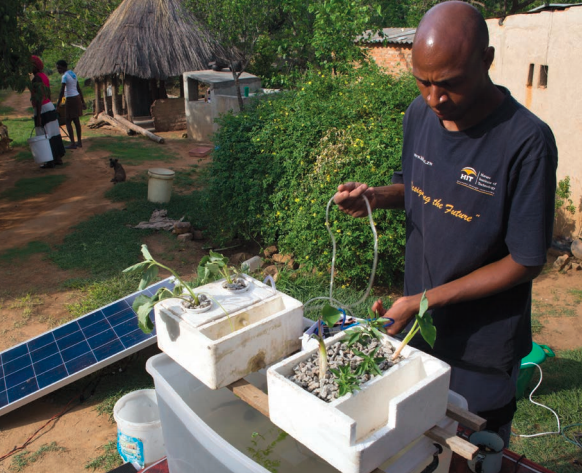 The YEPI (2013-2017) supported university community engagement and entrepreneurship programs and initiatives in the global south. TN YEPI partners are dedicated to tackling youth unemployment by providing pathways for students and graduates to transition from the university to livelihoods – entrepreneurship, dignified work, and active citizenship. Read more. Watch the YEPI feature film! Relive YEPI’s best moments from our twitter feed. Eight university leaders are standing for election for the Talloires Network Steering Committee. Polling closes 22 December 2017 at 12:00 p.m. EST. Click here to read their profiles and cast your vote. YEPI’s innovative research, teaching approaches, training systems and curricula at each of the eight partner sites are highlighted in this report. Student exposure to critical pedagogies, mentorship programs, industry placements and incubator projects have enhanced economic participation of graduates: 214 group businesses have been created by YEPI participants; 1,932 YEPI participants have made a transition into a job or entrepreneurial venture; 678 YEPI graduates are now self-employed; and 18 patents on products have been developed by YEPI participants. Read the report here. The Talloires Network, In partnership with What Took You So Long (WTYSL), a global community of filmmakers, has produced four YEPI Films. They feature the relationship between universities and surrounding communities through YEPI program participant stories and insights. Learn more about university entrepreneurship education in Pakistan, South Africa, and Zimbabwe. 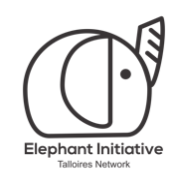 In partnership with the Mastercard Foundation, the Talloires Network collaborated with Network member university, Universidad Veracruzana to develop the Elephant Initiative, a fellowship program that engaged youth in a participatory strategic planning process. Read more. 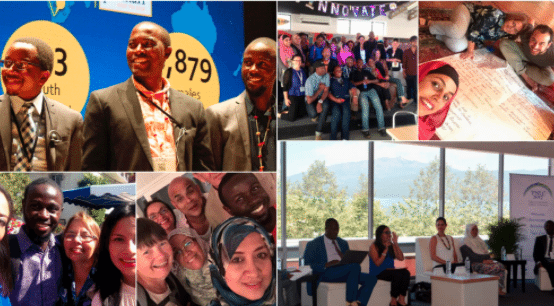 In partnership with the Mastercard Foundation, the Talloires Network provided support to 10 engaged faculty in 6 African universities to document, expand and reflect on their university-community engagement projects with a focus on entrepreneurship education. Read the full report here. Elli Yiannakaris, director of the University of Cape Town’s Raymond Ackerman Academy in South Africa and one of the eight recipients of the Youth Economic Participation Initiative grant, writes that personal development, community engagement and mentorship to name a few is key to developing the leaders of tomorrow. Read the full article here. On December 1, co-founders Phil and Donald, program manager Marla Chaneta, and campus coordinator Kimberly Kujinga visited Tufts University, home of the Talloires Network secretariat, to discuss the work of PaNhari – a YEPI program. The organization’s vision and activities provide direct support to students who have an idea to begin their own business. Read more. Nominations for the 2018 MacJannet Prize will be accepted starting January 8 – March 30th, 2018! Learn more about the prize. The award, hosted by the University of Brighton in the U.K. was founded to honor the legacy of the late Sir. David Watson, a champion of community university partnerships. The winning project, at Cardiff University, is building strong connections with the community. Learn more. Access Care Clinic was founded with support from the YEPI University for Transformative Leadership in Africa grant. It currently serves as an incubator for the training and integration of health students in community healthcare services. Learn more. The University Social Responsibility Network, housed at The Hong Kong Polytechnic University, published a book that features 17 chapters of practices and insights on social responsibility projects around the globe. Denison University helps students develop the skills that are important in every walk of life, in every graduate and professional program, and in every business or nonprofit. One of the college’s newest initiatives is the “Red Frame Lab,” a dedicated space in the center of campus where students can examine problems and develop solutions. They can work with professional staff and entrepreneurs-in-residence to ask questions, and test and refine solutions. Learn more.